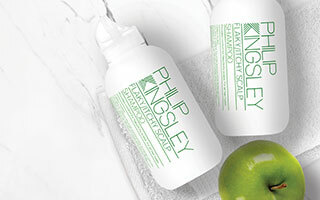 Keratin hair treatments are used to tame frizzy hair. None of the companies which supply keratin hair treatments claim that it ‘straightens’, but it does ‘smooth’ the hair. They are effective for all people who wish to tame frizz and curls. Companies that make and/or supply keratin treatments also claim they improve your hairs’ condition, but this isn’t the immediate case. It’s important to realise that smooth hair always appears to be in better condition than frizzy hair as it reflects light better and therefore produces more shine. The only reason why your hair might gradually improve its condition is that you are using other damaging styling aids, such as hair straighteners, less. You may also be washing your hair more frequently, which always improves your hair’s condition, feel and appearance. While the application of keratin itself isn’t detrimental to your hair, it’s the heat that needs to be applied afterwards that can be damaging. 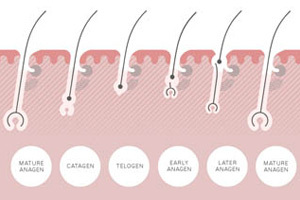 Keratin treatments do not work without the application of ceramic irons at a minimum temperature of 230˚C (450˚F). In the long term, this can degrade and break your hair and there is not yet enough evidence of further potential long-term effects. 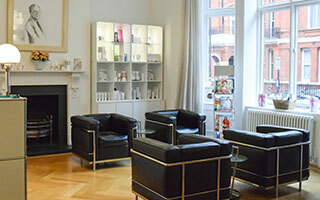 If you would like to find out more information about Keratin treatments, our clinics based in London and New York specialise in hair and scalp treatments.